KITTEN FACTORY- Five Years of 24MOTAB!........yeah whatever.........: Open Up The Gates!!! M-B-M registration open NOW! we had such great, high, expansive hopes only to have them come to this..... OH THE DISAPPOINTMENT!!! Open Up The Gates!!! M-B-M registration open NOW! Could there be a more auspicious day than Friday the 13th to open up registration for the Madison-Basco-Madison: Hell Of The South race to the teaming masses? HELL NO! So here's the deal. Write us here at the Kitten Factory (bugjetdjonn@yahoo.com) and say HELL YES! 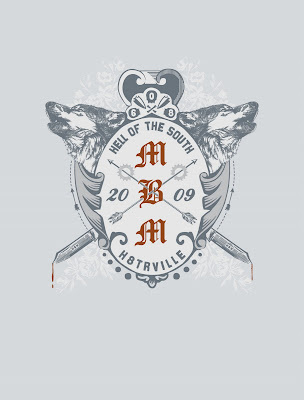 I want to register for MBM:HOTS! We will take names for 10 days and if we have exceeded the 80 rider cap then we'll draw those names at random for spots on the roster and those who didn't get picked will go on a waiting list in case someone bails. If we haven't hit 80 in 10 days time then you're in and we'll add names till the roster is filled! Either way you will be notified if you're in, out or on the bubble. Seem okay? The vets have had a week to sign up and now it's time for everyone else. MBM vets can still sign up of course, you'll just be in the general pool like everyone else. Make sense? Aw hell no! The cost is $6 and once you have been notified that you're on the race roster a Paypal link will be provided. I think all the main info of the race is covered here. ,but if there are any questions you might have write us and we'll do our best to answer, ignore or scoff at your queries. Say it with me "H-eight-R"..."HeightR"... oh crap. That looks like "height-R"
I'm not getting anywhere with this. thank you Frank. we are aware of the redundancy and we likes it! Dude, I didnt get my confirmation card or jersey yet. Will you cash my check? Am I in? Did I get in? I'm racing no matter what! ron, as if you had to ask. yer a two time MBM loser, of course yer in. errrr the jersey, yes.....that's in the mail....yes...of course.....we like money Ronko, even your dirty money. ahahahahahahahaaaa! Breathe The Sweet Air Of Victory! Last 24MOTAB of the year! EVER!! !